Blurb: Razo has no idea why he was chosen to be a soldier. He can barely swing a sword, and his brothers are forever wrestling him to the ground. Razo is sure it's out of pity that his captain asks him to join an elite mission--escorting the ambassador into Tira, Bayern's great enemy. But when the Bayern arrive in the strange southern country, Razo discovers the first dead body. He befriends both the high and low born, people who can perhaps provide them with vital information. And Razo is the one who must embrace his own talents in order to get the Bayern soldiers home again, alive. Favourite Quotes: “It was a pleasure, Enna, Finn, tree rat." Thoughts: This book was really cool! I loved the way it was a fantasy book, yet written like a mystery novel. It was told in an interesting manner that keeps you guessing and wanting to read more! I really liked the characters. Razo is one of the best main characters ever. He's funny, loves a good joke and doesn't mind making fun of himself, yet underneath all that he's worried and is afraid that he has no talents. Also, Razo is short, which being short myself, is a bonus! He is always getting teased about his height and being mistaken for still being a child. Our library didn't have the first two books when I was looking for them, so now I'll have to go back and find out what I missed! 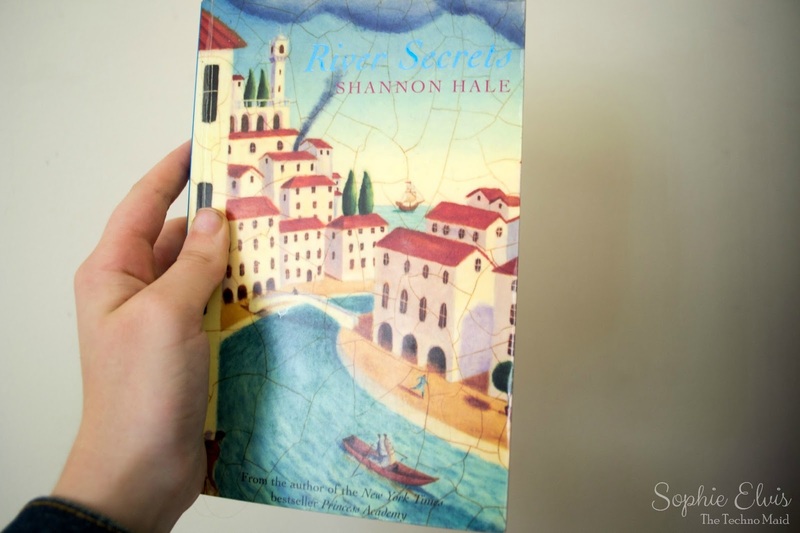 Have you read River Secrets? What is your favourite book at the moment? Also, what do you think of my new blog design? I didn't plan it for a blog anniversary celebration, but three days ago 'The Techno Maid' turned four! I can't believe I've been blogging for so long. Wow, Sophie! Your new design is gorgeous! I love the colour and texture, and the graphics. Wow. The graphics. Absolutely love them. Hiya! Cool blog and post! Check out mine and post a comment on it? I am also a fan of your new design! And congrats on your blogiversary--if that's what it's called?? haha. Have a great day! Thank you so much! This has made my day. Hello! Welcome to the Techno Maid. My little photography corner. I'm Sophie Elvis- an Australia, unschooling teenager with a love of blogging, videography, books, running, weight lifting and of course photography! Click here to find out more about me! This blog is where I share my love of photos and cameras.